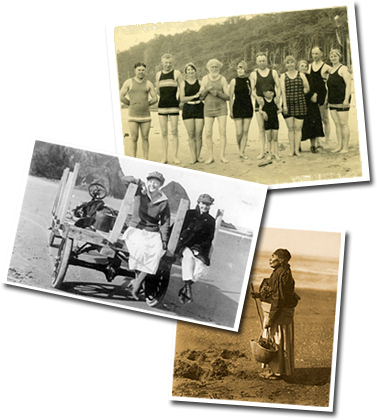 On Thursday, February 22, the Cannon Beach History Center & Museum will host Oregon authors Alisha Hamel and Warren Aney as they present their book on Oregon’s impressive military heritage. 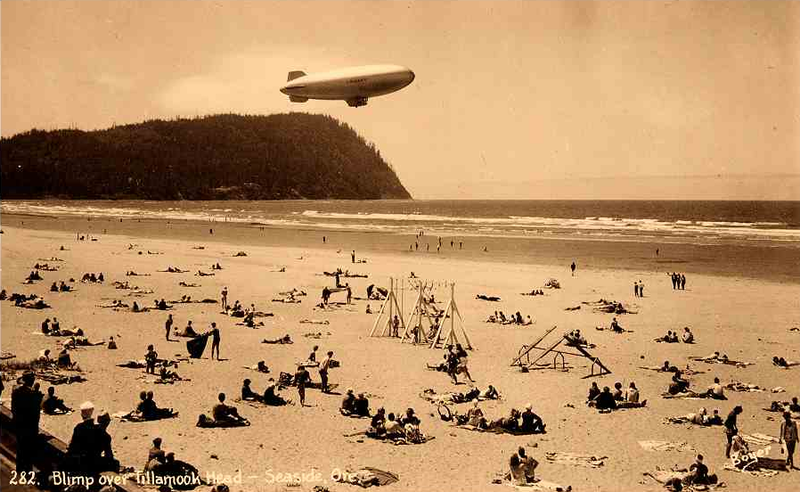 A blimp patrols the Oregon Coast. This is Seaside, Oregon. Oregon’s military heritage goes back thousands of years with native warrior traditions. These native cultures were relatively peaceful and welcomed visiting strangers such as the 1805-06 Army expedition led by Lewis and Clark. The overwhelming numbers of settlers and miners began taking over their traditional grounds. From 1847 to 1880, Army and volunteer units engaged Oregon’s native peoples in eight major conflicts. The Army built several forts from Oregon’s coast to the Snake River. Members of the Coast Guard’s mounted beach patrol cross an inlet during their patrol on the west Coast. The use of horses allowed the Coast Guard personnel to cover wide stretches of beach more quickly than on foot. Image courtesy of the U.S. Coast Guard. The Oregon Militia was first created in 1843 and this led to creation of the Oregon National Guard in 1887. Oregon Guard members and many other Oregonians served the nation in major overseas conflicts from the Spanish-American War through World Wars I and II. As the Pacific Northwest’s well-trained National Guard unit, the 41st Infantry Division served commendably from 1941 to 1945. Oregonians served heroically in Korea and Vietnam. Recently, Oregon Army and Air National Guard units have been serving in Afghanistan and Iraq conflicts. Oregon’s Militia and National Guard served the state in many civil-support actions, from quelling 1886 riots to Operation Tranquility peacekeeping in 1970 to tackling wildfires and floods.